↑ German: [ˈjoːhan zeˈbasti̯an ˈbax] ( listen). The last name appears as /bɑːx/ in OED/OUP. 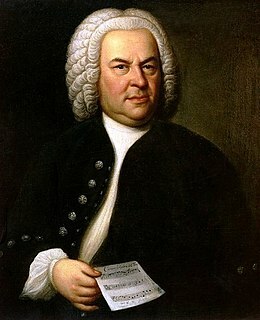 ↑ "Bach, Johann Sebastian Archived 11 May 2016वेबैक मशीन पर ." entry at www.oxforddictionaries.com. Retrieved 3 May 2016. ↑ Blanning, T. C. W. (2008). The Triumph of Music: The Rise of Composers, Musicians and Their Art. प. 272. ISBN 9780674031043. 15 May 2015 के ओरिजनल से पुरालेखित. And of course the greatest master of harmony and counterpoint of all time was Johann Sebastian Bach, 'the Homer of music'.